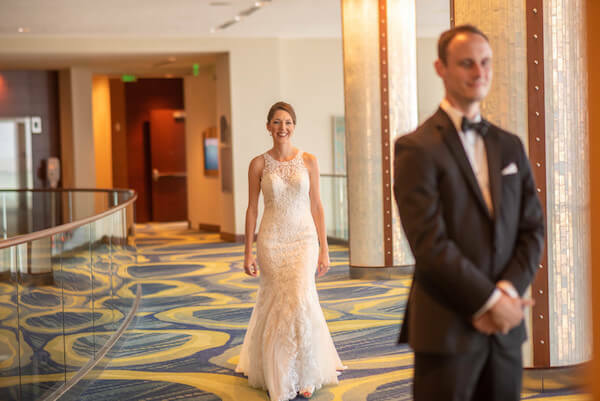 Our Special Moments Event Planning team adored working with Katherine, Matthew and their families on the fabulous wedding weekend. 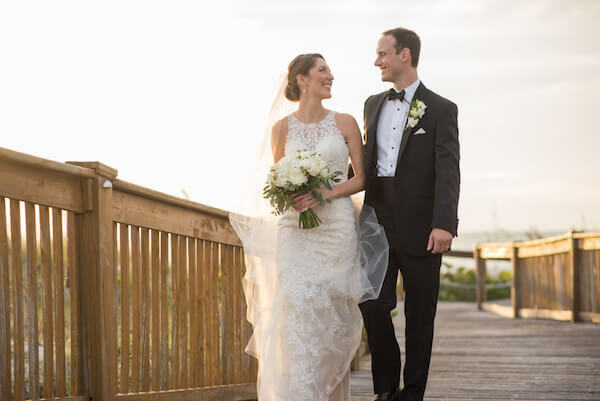 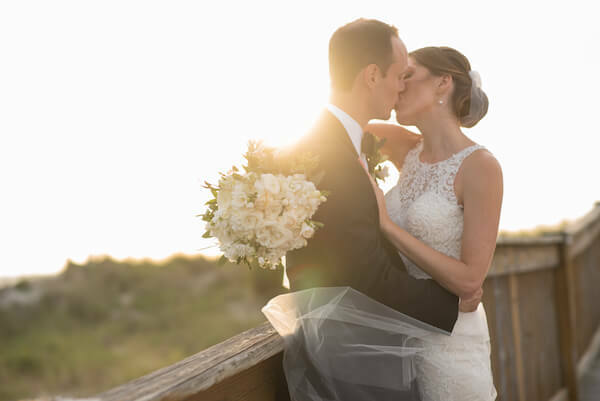 Their wedding day began at the spectacular Opal Sands Resort on Clearwater Beach where the wedding parties and this very photogenic couple had their first look. 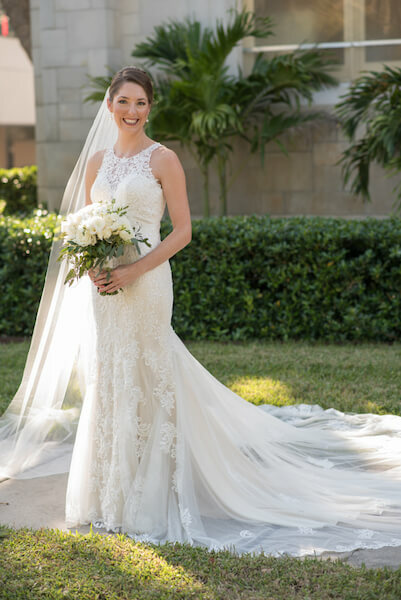 Katherine wore a form-fitting satin gown with a sweetheart neckline and low back; the gown had an illusion and lace applique overlay that formed a halter neckline and trailed down into a long sweeping train. 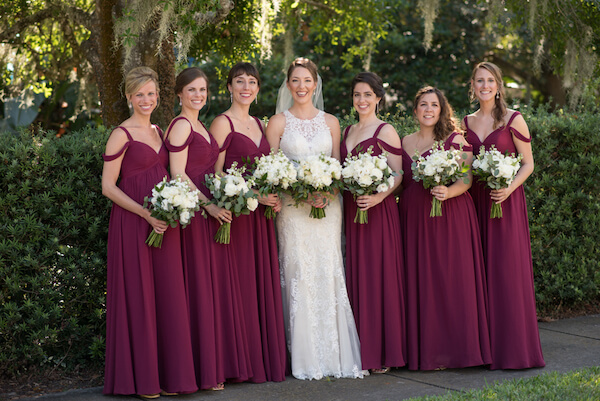 She carried a bridal bouquet of white roses, cream-colored garden roses, ranunculus, stock, freesia and seeded eucalyptus that mirrored those carried by her bridal party who wore off the shoulder deep red bridesmaids dresses. 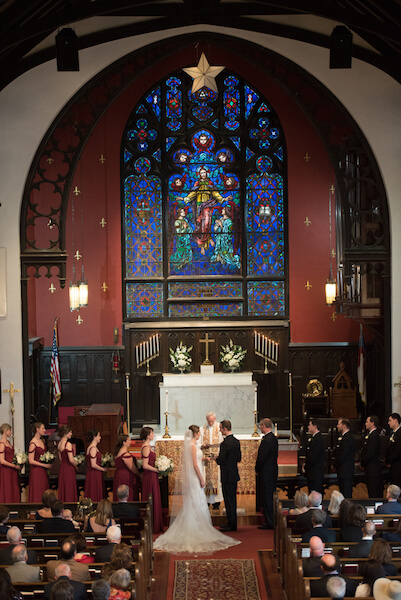 The wedding party, family and guests were transported by trolley to the Episcopal Church of the Ascension in Clearwater. 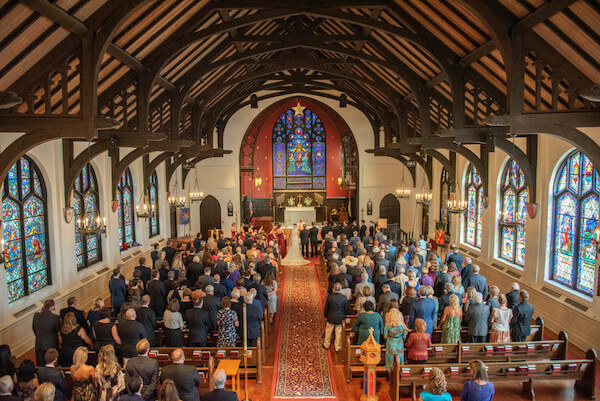 This Gothic Revival church built in 1925 has large vaulted ceilings with ornate exposed beams, and historic stain glass windows was the perfect location for the blending of these two families. 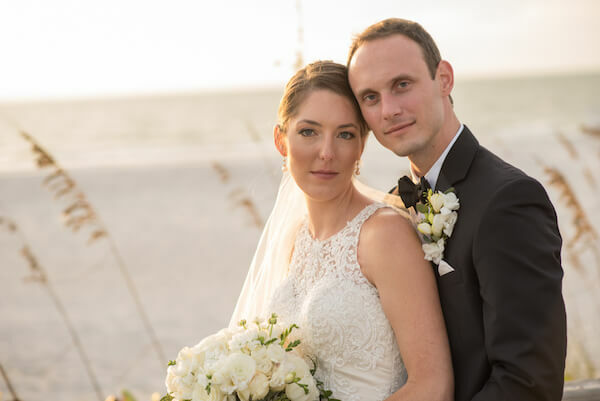 Guests were transported to Clearwater Beach and Carlouel Yacht and Beach Club situated between the white sand beaches of the Gulf of Mexico and the intercoastal waterway; while the bride and groom took full advantage of the beachfront access and striking sunset for some wedding portraits. 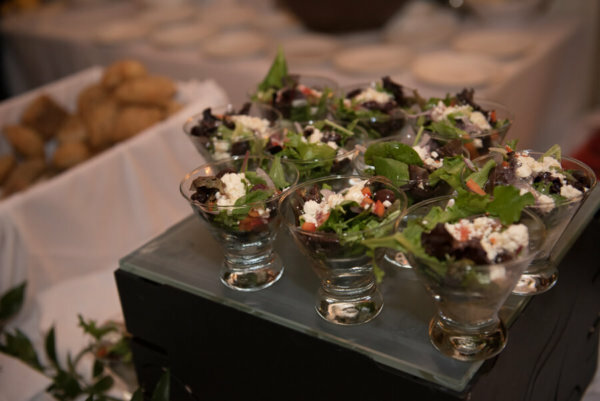 The Gazebo Lawn hosted the cocktail reception overlooking the surrounding waterways under a canopy of market lights. 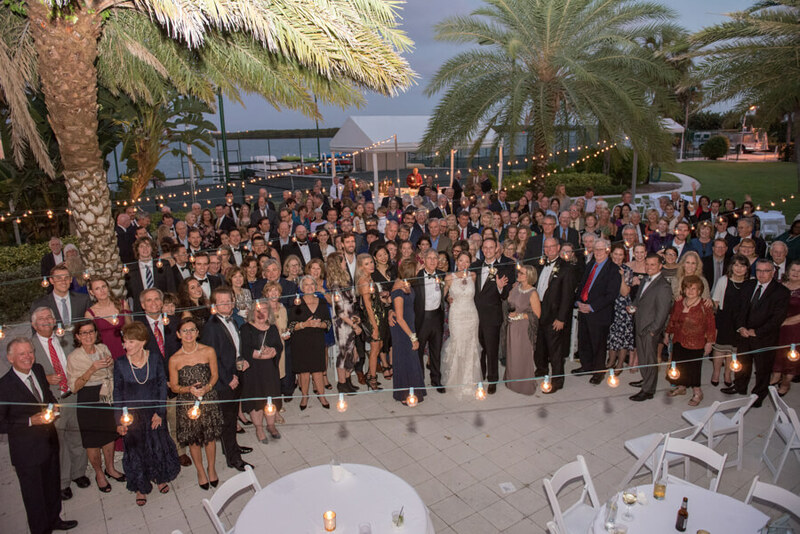 This fantastic photograph of all of the wedding guests, taken from a 12-foot ladder, was one of the “Must Haves” for the couple. 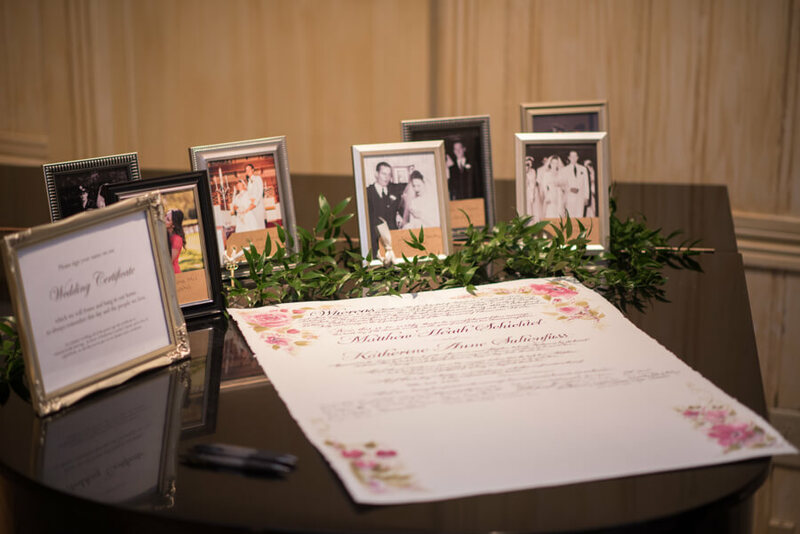 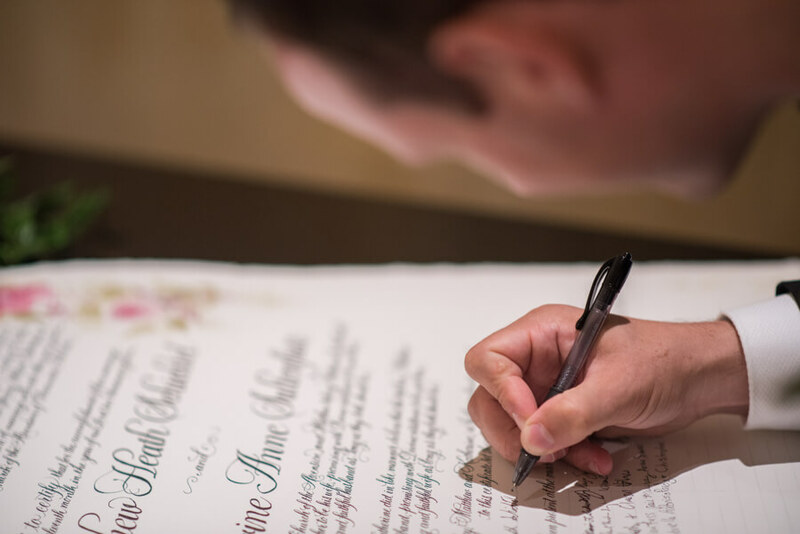 Everyone made their way into the ballroom and were invited to sign this beautiful Wedding Certificate, our team is now a documented part of their wedding day too. 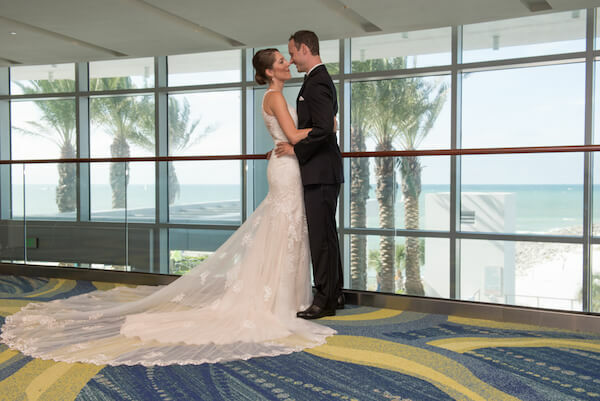 We love these family portraits. 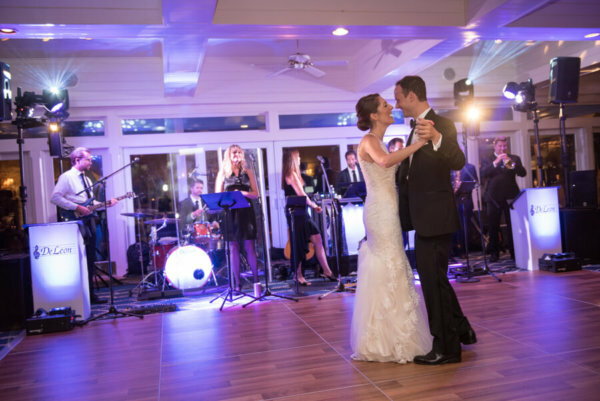 Katherine and Matthew started the reception with their first dance and then enjoyed a relaxing “Station” style wedding reception. 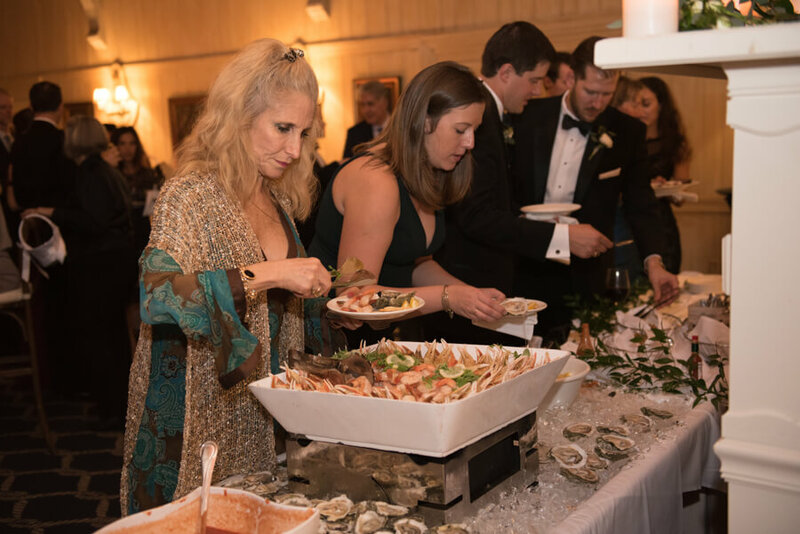 Guests enjoyed a fresh seafood bar with cocktail shrimp, crab claws and oysters, fresh carved prime rib, a mashed potato bar with steak Diane, primavera vegetables and blackened shrimp etouffee as well as a station of crudité and freshly tossed salads. 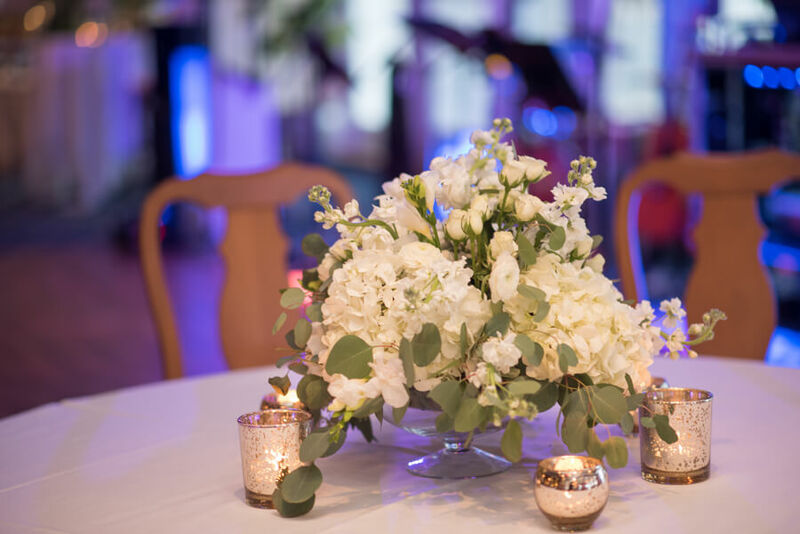 The stations were scattered across the ballroom and covered outdoor patio. 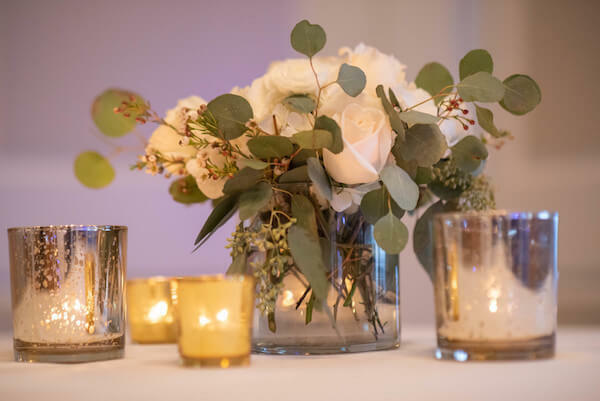 Guests mingled and dined at tables of various sizes and unique floral designs, enjoyed the cool evening under the stars and danced the night away. 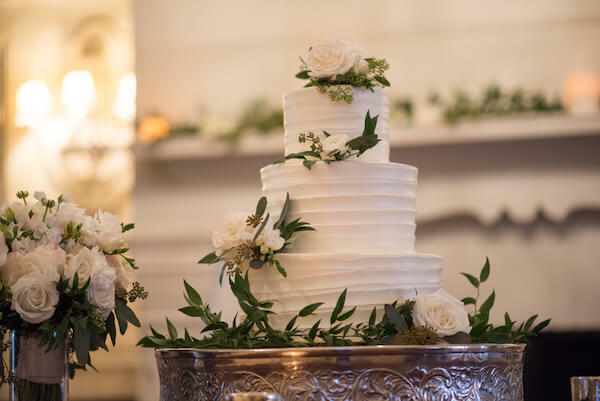 After cutting this delicious three-tiered buttercream wedding cake, the couple’s had a Grand Exit on a fleet of local Clearwater Beach tuk-tuks decorated with handmade signs with sparkling cans trailing behind. 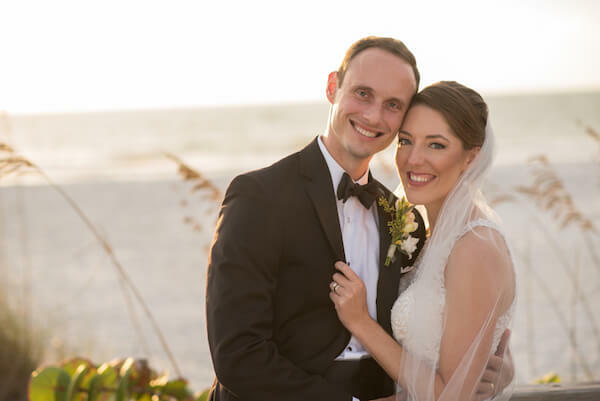 We wish we had seen the looks on vacationers faces as the pedal cabs made their way to the far end of Clearwater Beach for more dancing at a local club. 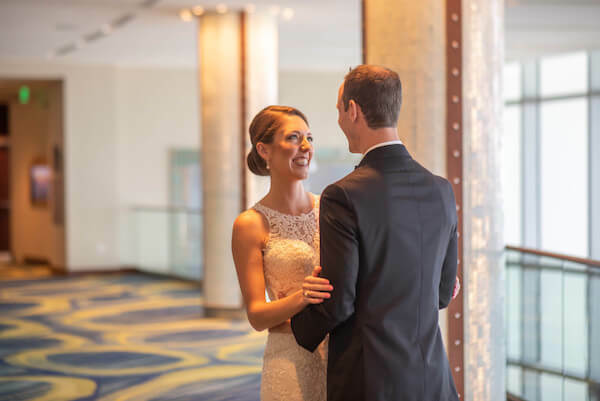 Congratulations Katherine and Matthew, we know you enjoyed your wedding day as much as your family and friends did!